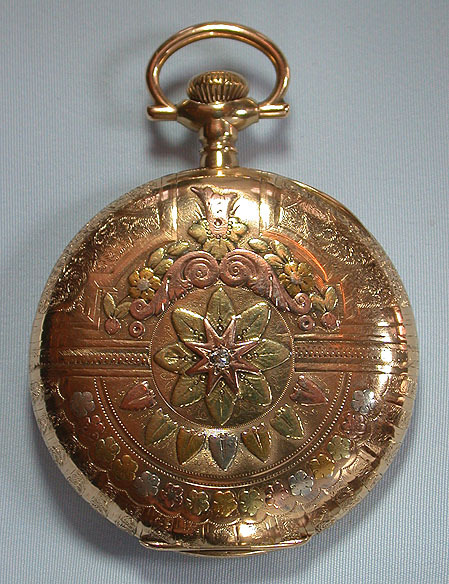 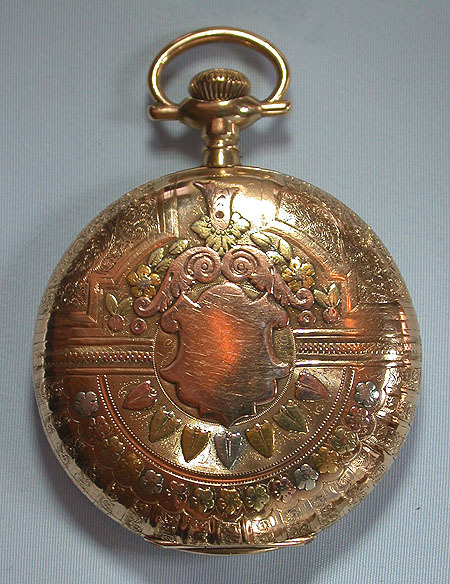 Fine and scarce 14K multicolor 16/S Hamilton 21 jewel grade 991 antique pocket watch circa 1904. 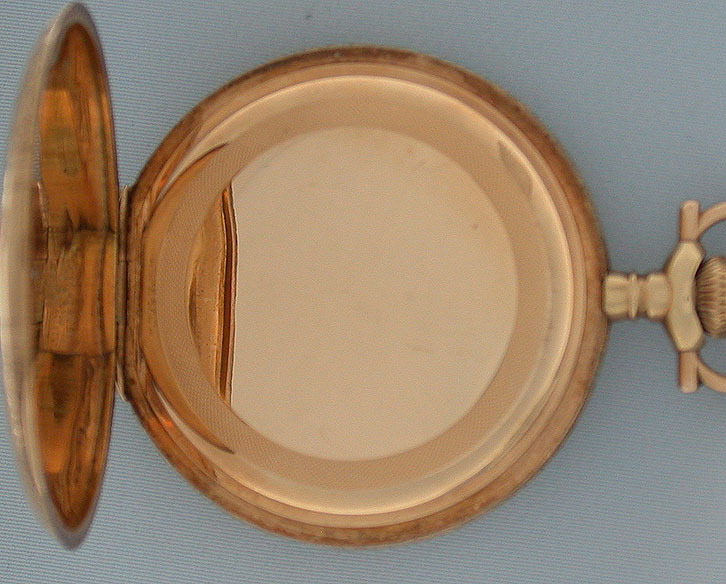 The case (even pocket wear) engraved and decorated in various shades of gold. 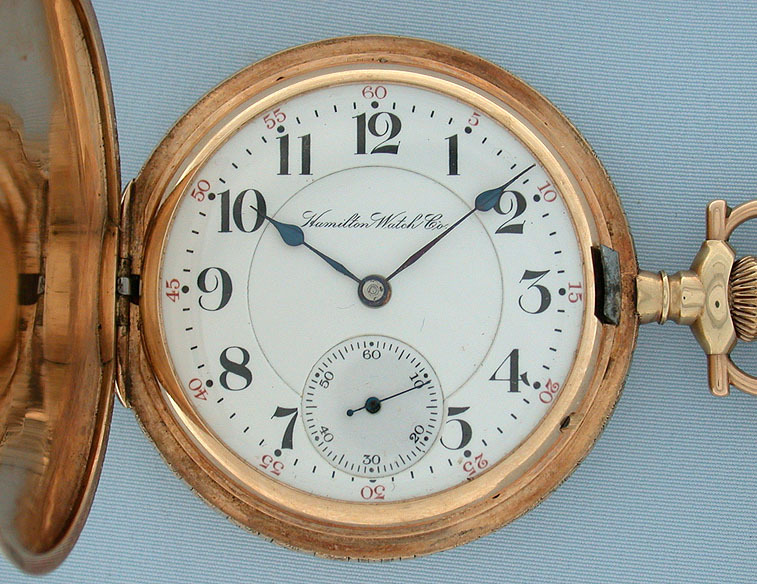 White enamel double sunk dial with bold black hour numerals, red 5-minute indications, and blued steel hands. 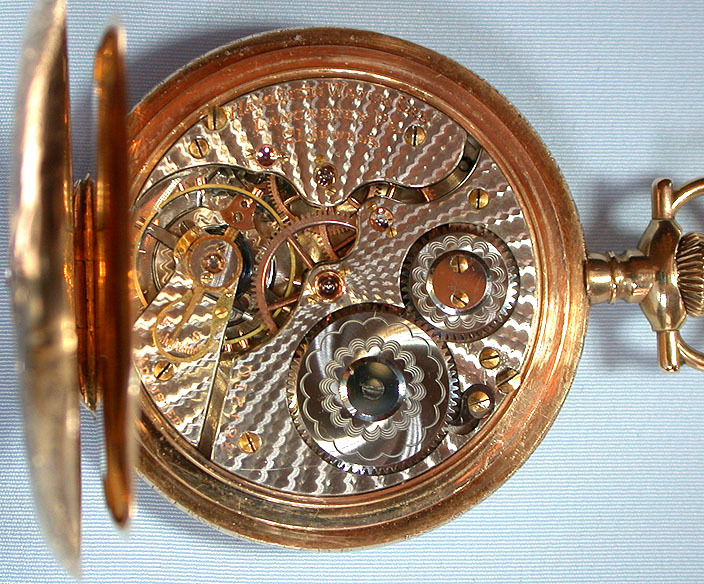 Beautifully damascened movement with gold screwed jewel settings, gold escutcheon, and gold train wheels.